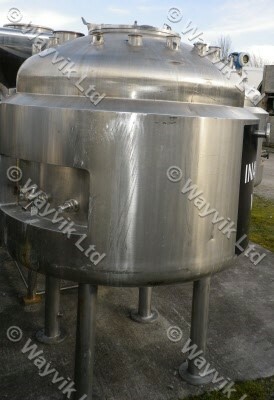 1165mm dia x 650mm deep on straight with 200mm deep dished ends.Vessel rated 4 barg and full vacuum. Jacket rated 5 barg and full vacuum. Manufactured by Agemore Surmet.